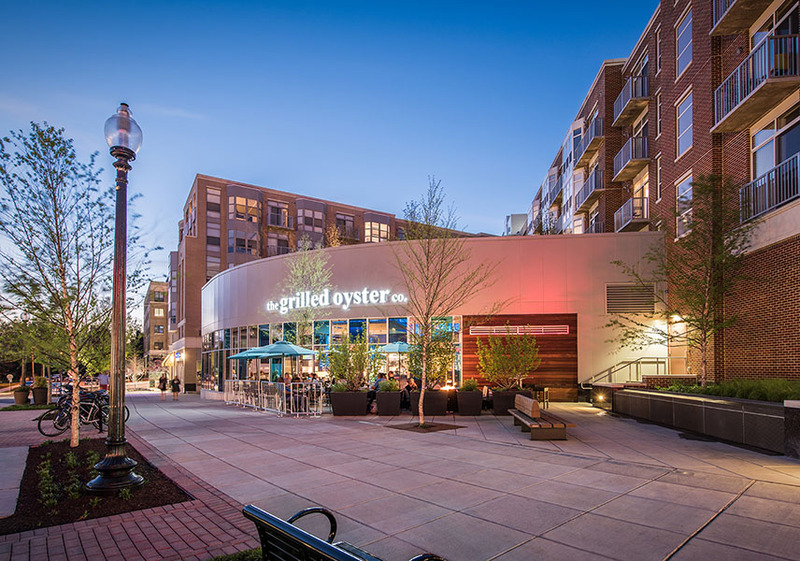 Architecture, Incorporated provided both architectural and interior design services for the Grilled Oyster Co. in the Cathedral Commons area of Washington, DC. 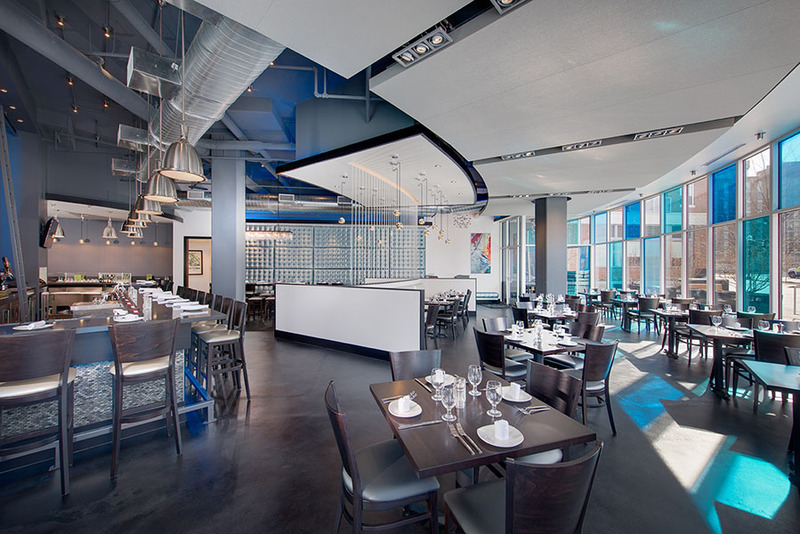 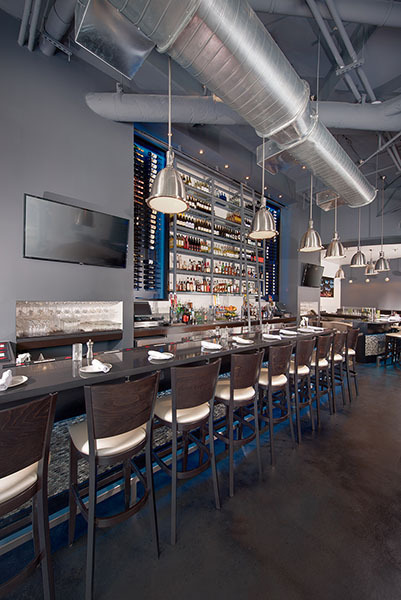 The restaurant, which has been featured in Washingtonian Magazine, features dramatic lighting through the naturally-lit colored glass windows, and mirrored pendants in the dining room and bar area. 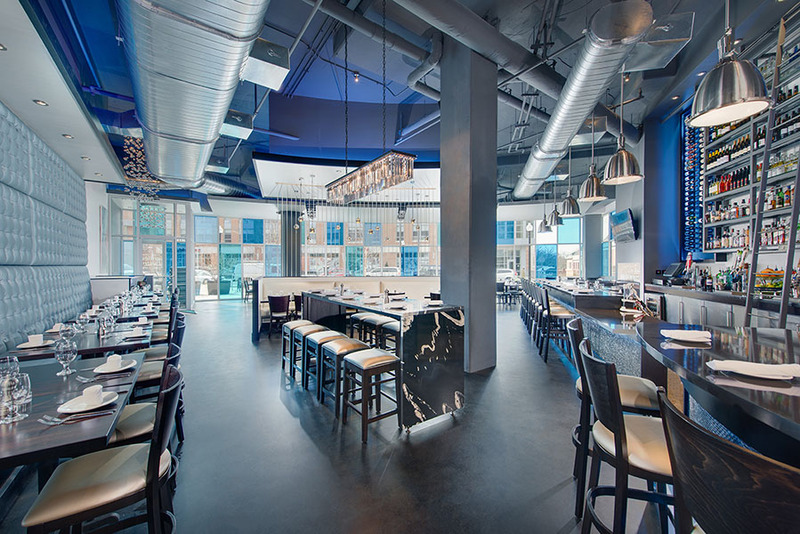 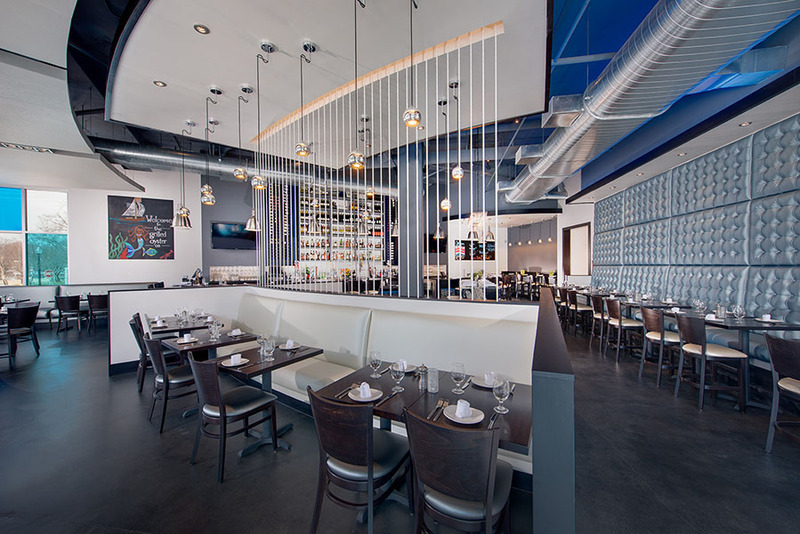 Glass tile and colored accent lighting span the front of the bar and the incorporation of the exposed HVAC adds an open, modern feel to this neighborhood favorite seafood spot.